The Feeling of Jazz, Hr-1, Program No. 343 airing February 24, 2019 featured a second spotlight on alto saxophonist Phil Woods. 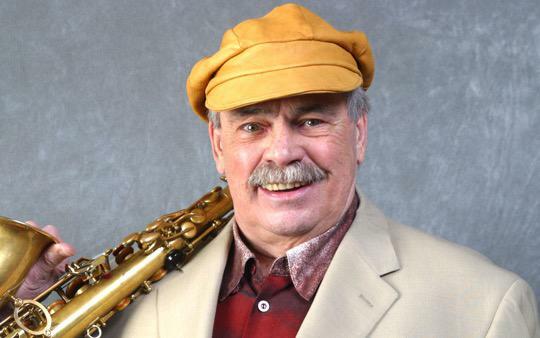 The Feeling of Jazz, program # 343 airing February 24, 2019 featured a second spotlight on alto saxophonist, clarinetist, bandleader, and composer Philip Wells "Phil" Woods (November 2, 1931 – September 29, 2015) in music presented by Kent Lindquist, while co-host Bill Satterlee was off this week. Engineered by Dave Woodworth. 1. I Love You, Phil Woods Quartet, Warm Woods, Cole Porter, 4:457 min.2. Love For Sale, Hank Mobley Quartet, Hank Mobley Quartet, Cole Porter, 4:31 min.3. Robin's Bobbin, Phil Woods with Jon Eardley, Pot Pie, Phil Woods, 5:17 min.4. Spring Will Be a Little Late This Year, Red Garland, All Kinds of Weather, Frank Loesser, 5:41 min.5. Last Fling, Phil Woods with Red Garland, Sugan, Phil Woods, 6:33 min.6. Face to Face, "Baby Face" Willette, Groovy Jazz Organ (compilation), "Baby Face" Willette, 6:52 min.7. Blue and Sentimental, Phil Woods (clarinet), Here's to My Lady, Count Basie, 5:03 min.8. Waltz For Debbie, Phil Woods (clarinet), Here's to My Lady, Bill Evans, 5:15 min.9. Sister Sadie, Horace Silver, Blowing the Blues Away, Horace Silver, 6:15 min.